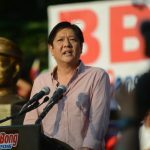 MANILA, Philippines – One of the controversial candidates for the vice presidency in the 2016 elections is Senator Ferdinand “Bongbong” Marcos Jr – son of the late dictator Ferdinand Marcos. Even before launching his bid for the vice presidency, he has already made statements that have irked many: He sees nothing to apologize for when asked about the corruption and human rights abuses during his father’s regime. For him, the surname he bears is not baggage, and the atrocities committed under Martial Law are not election issues. But despite all the rage due to these controversial statements, the senator has ranked well in recent surveys: he is 3rd both as a vice presidential candidate and a senatorial candidate in Pulse Asia’s poll conducted last September. Who is this man who carries a dictator’s surname with pride? 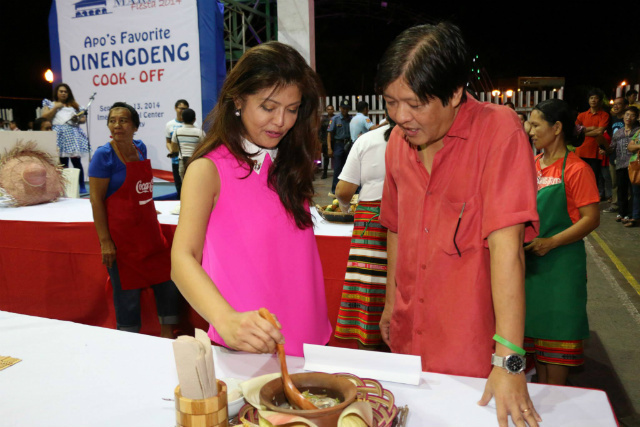 Here are other things you might not yet know about Bongbong Marcos. Just when you thought the nickname “Bongbong” already sounds peculiar, wait until you hear his other nickname: Bonggets. Apparently, this is what his close friends call him. I’ll give them many, many gamot at damit. 3. Rumor has it that Bongbong is a clone, and he is Grace Poe’s half-brother. Apparently, an urban legend is going around since the 1980s that the real Bongbong has long been dead, and the one who’s alive today is a relative who was convinced by Imelda to play pretend and to undergo plastic surgery. 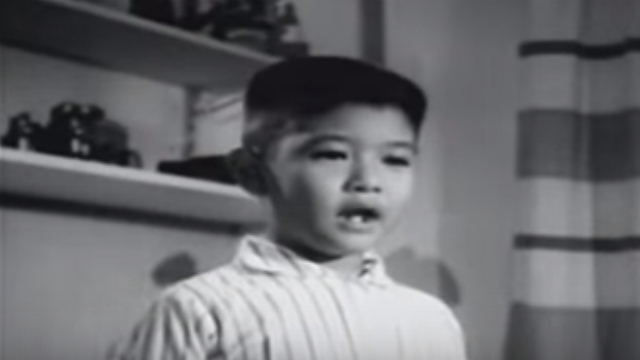 Here’s a more recent one: Presidential candidate and Senator Grace Poe – a foundling adopted by actors Fernando Poe Jr and Susan Roces – is rumored to be the daughter of the late president Marcos and former Sampaguita Pictures actress Rosemarie Sonora. This would make her Bongbong’s half-sister. In a rare interview about two decades ago, Marcos answered questions from Kris Aquino, one of the daughters of his father’s arch-political rival, Benigno “Ninoy” Aquino Jr. The interview covered an array of topics, from Marcos’ love life, to the criticisms his family faced. But former First Lady Imelda Marcos has always wanted for her son to seek the highest post in the land. 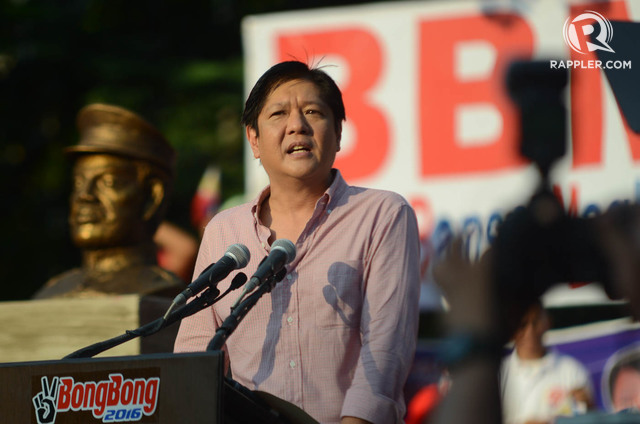 Marcos, however, believes “the time is just not right” to run for president. In the same interview with Kris Aquino, Marcos talked about what seemed like a light moment between the two rivals Ferdinand Marcos and Ninoy Aquino during the latter’s visit to Malacañang when Bongbong was still young. A 1975 news clipping entitled “Rockets test-fired from Philippines” tackled the country’s experiment in making its own ballistic missiles. Then-President Marcos himself witnessed the “successful” firing of 4 “bongbong” rockets. “The defense of the Philippines cannot be left to alliance with other countries. We must assume that there will be contingencies where even the United States may not be ready to come to our assistance,” the president was quoted as saying. When there’s free time, he reads books. He can also cook dishes such as Filipino favorites sinigang and pinakbet, and even pan-seared steak. In a recent interview, he revealed that he is a huge Beatles fan, and his favorite album is Sgt. Pepper’s Lonely Hearts Club Band – the band’s 8th album. He collects their memorabilia, and even posed for a photo with the sign of a children’s home where John Lennon grew up. Imelda was furious, as Ringo Starr recalled she was screaming on television. There were reports the band was manhandled at the airport before they left the country. The first lady later said she “would never dream of hurting the world’s number one band,” while his son Bongbong invited Starr to return to the country.